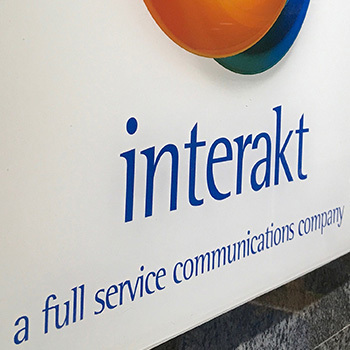 Interakt was started as a full service communications company , offering an expansive spectrum of services, particularly across the digital marketing and communications space. Given the advancement in technology, convergence of digital channels and the increasing competition in the global services market, Interakt has over the last four years transitioned successfully into a platform focused entity providing services around the group’s organically developed solution called Resulticks – a real-time conversation marketing Cloud. Today, Interakt leverages its marketing expertise to extend a full suite of services to Resulticks’ clients and partners ensuring they enjoy every advantage that true omnichannel marketing automation promises. Founded in 2004, Interakt employs over 100 professionals with incorporated offices across 5 different countries namely Singapore – its headquarters, US, UK, UAE and India, servicing Fortune 500 companies, top tier local corporations, as well as small and medium enterprises across all vertical markets. It is a pleasure to work with your agency. Extremely capable, passionate and dependable. The transformation from the old website to the new website developed by Interakt is like going from chalk to cheese. Thanks to all the developers, automation managers, and testers for their effort in working through all of the issues under a lot of time pressure. This has resulted in a product we can all be proud of! Fantastic job as always. Fantastic work. The creative solutions, detailed discussions, response to feedback…this was a definite highlight for me, and I’d especially like to thank the team.